Visit Mexico, a beautiful country with miles of sandy beaches, incredible historic sites, delicious food, and much more. This country is home to the ancient Mayan ruins and other ancient places that attract millions of tourists each year. The warm weather year round makes this a popular vacation spot for many people from all over the world. 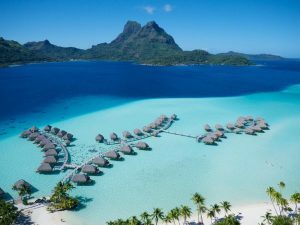 If you are trying to figure out where to go for your next vacation, this is certainly one place that you should look into. The amazing scenery and unique culture of Mexico make it an incredible country to visit for the whole family. Mexico City is one of the more popular tourist destinations in all of Mexico, and it has some of the best attractions. There is the Pyramid of the Sun, which is a huge Teotihuacan pyramid that you absolutely must see while you are here. Chapultepec Castle is a hilltop castle with a history museum inside, and it’s a lot of fun. There is something to do for everyone here. Peurto Vallarta is where you will find a number of beautiful beaches with miles of white sand. This city is home to Islas Marietas National Park, which offers some of the best snorkelling, scuba diving and whale watching in Central America. Las Glorias Beach is also worth checking out, especially if you love to surf. There are lots of great opportunities for adventure in this area. As one of the most popular spring break spots for young people, Cancun is a wonderful resort town with miles of the best beaches around. If you want incredible scenery for your next vacation, it is highly recommended that you take the time to look into this place. Its idyllic scenery makes for the perfect vacation. San Miguel de Allende is the perfect destination for a day trip, and it is home to a number of amazing museums and historic sites. The Casa de Cultura Banamex is a huge art museum in a grand building in the historic district. There is also Charco Del Ingenio, which is a botanical garden with a number of plants and flowers from the area. Juarez Park is also a nice place to spend a sunny warm afternoon outside. The towering ancient structures and historic sites in this city are truly impressive. Thousands of people come to this area each year to see the ancient ruins and huge megaliths here. Ik Kil is one of the most famous archaeological sites in all of Mexico, and its ruins and cave are truly a spectacular sight to behold. This is a great place to visit for anyone who loves history. Valladolid will provide you with a number of fun things to do, including river cruises, winery tours and tastings, and much more. Valladolid Cathedral was built in the 16th century and is one of the most impressive historic sites in the area. You will also want to try to visit the Valladolid Science Museum, which has a number of fascinating exhibits that you can walk through. Tulum has miles of beautiful sandy beaches and some of the best scenery in the entire country. There are numerous luxury resorts in the area that you can stay at while you are here. The ancient ruins of El Castillo are a memorable sight, to say the least, and there is also the Temple of the Frescoes. Whether you want to go swimming in the ocean or stroll through a beautiful park, this area has it all. Santiago de Queretaro is home to many historic sites that you will want to visit while you are here, including El Cerrito, which is an archaeological area with a pyramid. There is also Museo de Arte Sacro, which is a museum with numerous art pieces that date back hundreds of years. There are lots of museums with art and cultural artefacts in this area. Located in the hills of Sierra Madre, this Mexican city is famous for its gothic art and architecture. The Museo de la Filatelia Oaxaca is filled with beautiful surrealist paintings and artwork, and the Graphic Arts Institute is close by. Oaxaca City has a long and fascinating history that you can learn about through the many exhibits of these museums. Cozumel has some of the most striking beaches in Mexico, and its white sandy beaches attract many visitors each year. The coral gardens and numerous marine parks definitely make this city worth visiting. If you are looking for an idyllic tropical destination for your next trip, Cozumel should definitely be at the top of your list. The delicious food and welcoming natives will have you wanting to stay forever. Guadalajara is another area of Mexico that attracts many travellers, and for good reason. The Guadalajara Cathedral is a beautiful sight, and there are many other buildings that you’ll want to visit. Selva Magica is a wonderful amusement park with rides for all ages, making it the perfect place to go if you are travelling with your family. There is also the Guadalajara Zoo, which has many different animals to see. 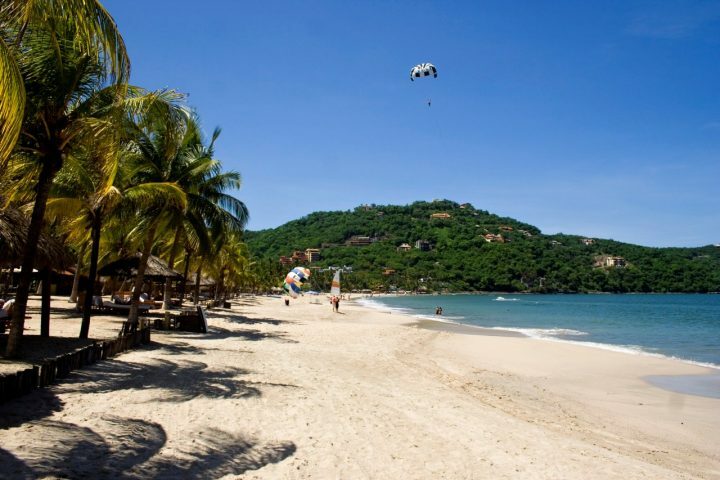 The long stretches of white sand beaches that Zihuatanejo is known for bringing in millions of tourists each year, and it truly is a beautiful place to visit. There are numerous hotels in this area that you can stay at, and the resorts are very impressive. If you are looking for a place with perfect scenery where you can go swimming and scuba diving, this is it. This city can be found just south of the border, and it’s definitely worth visiting. Cabo San Lucas is another popular spring break destination, and it’s one of the most strikingly beautiful places in all of Mexico. The beaches in this area of the country have crystal clear water and the weather is always sunny and warm. There are many different restaurants and cantinas you can visit here, and they have some of the best food and drinks around. Chihuahua is located in northern Mexico and is one of the more charming cities in the country. El Palomar Central Park is a wonderful place to take a stroll through while you are here. Creel is a great area for those who want a little bit of adventure, as it offers zip lining, hot springs, and a massive waterfall. The food in this area is known for being particularly delicious, and there are plenty of wonderful restaurants to dine at. Acapulco is one of the more popular tourist destinations in Central America because of its beautiful beaches and many fun attractions. This beach resort town is truly extraordinary, offering the kind of scenery that you have most likely never witnessed in your life. There are also numerous museums and historic sites you can visit here, including the Fort of San Diego and El Fuerte del Virrey museum.